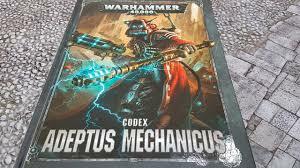 Today I continue with my review of the Ad mech codex. Today I look at Lucius and Agripinaa. The Lucius Dogma can be helpful when faced with a lot of heavy bolters or flamers. Units with this dogma treat AP -1 as AP 0. This can help keep you men on the table. I wish it was -1 to all AP but that might be too strong. The warlord trait gives your warlord +1 to your invulnerable save. This will help him stay alive longer as well. Anything to keep him alive to hand out his buffs is always a bonus. This is very similar to the Stygies VIII stragatem. During deployment you can set up a unit in reserves and at the end of your movement phase you can place them on the field anywhere outside of 9" from a enemy unit. I like this more than the Stygies one since you place them on your turn and not before the first game turn. This way if you are going second they are protected. 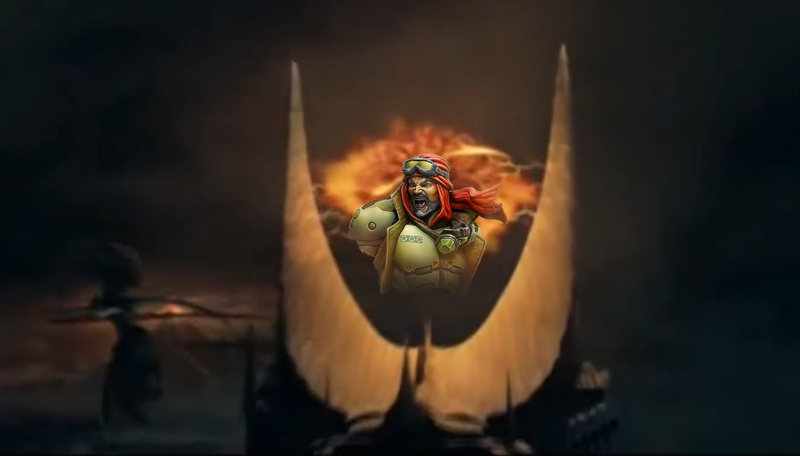 Their relic is the Solar Flare. once per game, at the end of the movement phase, the bearer may teleport instead of moving normally. You can then place the model anywhere that is 30″ from the starting position and more than 9″ from enemy models. This can help your warlord get out of a sticky situation. It would have been nice to bring along a unit with him but I guess beggers can't be choosers. I think the Lucius forge world is a solid choice. Nothing is bad or useless but at the same time nothing jumps out at me as a stellar option either. The Flare might be neat for a last turn objective grabber, the stratagem will help the elctro-priests get across the field, and the dogma help keep your guys alive but I feel there is better options out there. The Agripinaa Dogma is useful. When firing overwatch, units hit on a 5+ instead of 6+. This should double your odds on hitting in overwatch but take it from an ork player, hitting on 5+ is not that great. Since I like to stay out of combat I think is can help take out a few more guys before they come in and smash your face. The Agripinaa warlord trait also helps to keep the warlord alive by reducing all damage by 1 to a minium of 1. So this will not let you avoid all damage it will make it harder for them to kill him. This forge world's stratagem is pretty cool. For 1-3 command points you can take a unit of servitors, breachers, or destroyers and remove them from the field replacing them with a new unit that cost a certain power level. for 1CP you get a power rating of 5 or less for 2 you can choose a power rating of 10 or less and for 3 you get a whopping 20 power rating. This means that you could get a 6 man unit pf breachers back for 3 command points or a minium squad back for 2. These guys are a pain to remove a lot of times and can dish out some pain. This might be a good reason to run a Agripinaa detachment. The Eye of Xi-LeXium is Agripinaa's relic. This allows you to pick a enemy vehicle within 18" of the character and this allows you to re-roll wound rolls of 1 for friendly Agripinaa units for the rest of the phase. If it is a chaos vehicle than you reroll all failed wound rolls. I can see this being useful in a game against a mechanized list especially if that list is a chaos one. I can see me running a Agripinaa patrol detachment with a dominus and a big squad of destroyers. they are protected from the charge with the dogma and when they get whittled down I can bring them back to continue killing things from afar. I doubt that the relic is going to be key or that I will use him as my warlord but not a bad little squad to cause some problems. My next post I will go over Cawl and the forge world of Mars. Then I will finish talking about the other stratagems and relics. Questions? Comments? For the Omnissiah?